A650E Toyota transmission bushing kit from Omega Machine & Tool Inc.
Omega Machine & Tool Inc. is pleased to announce our latest bushing kit, it fits the Lexus A650E transmission. See the list of applications below. 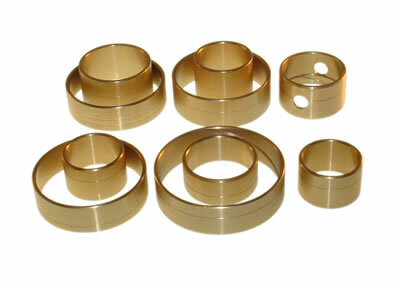 All bushings are available separately.